It’s not hard to see why thousands of bikers flock to the exquisite lands of Morocco each year to get their adventure fix. Not only is it easy to reach on your bike by riding through Spain, but it’s the doorway to Africa. You’re in Africa! If that isn’t cool enough, then being home to the likes of the Atlas Mountains, Dadés Gorge and the Sahara Desert definitely is. The country is a haven for all things adventure biking, and boy, is it one thrilling ride. Another fantastic thing about Morocco is the fact that not only is its natural beauty exceptional, but the fascinating architecture, history and culture of the cities, such as Marrakesh, is out of this world too. 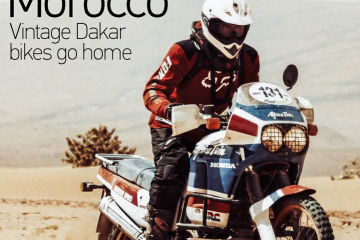 With the above in mind, we teamed up with the folks at Hispania Tours, a motorcycle touring company who are experts when it comes to a unique riding experience in Morocco, to look at the country’s ultimate motorcycling route. 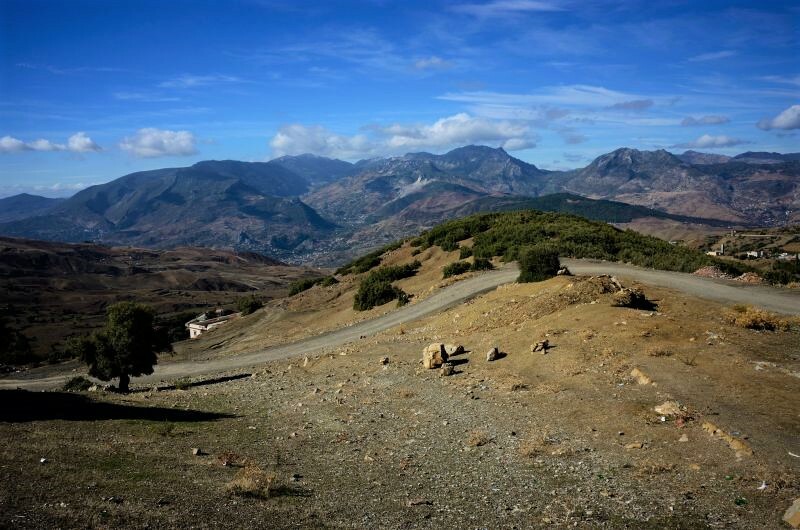 This route, which captures the heart and soul of this magnificent country is perfect for two-up riding, runs from The Rif Mountains, down to the south where you’ll spend most of the tour in the southern Atlas mountains, to which it then loops around to Marrakesh. So, without further ado, here are the destinations on this wonderful route. 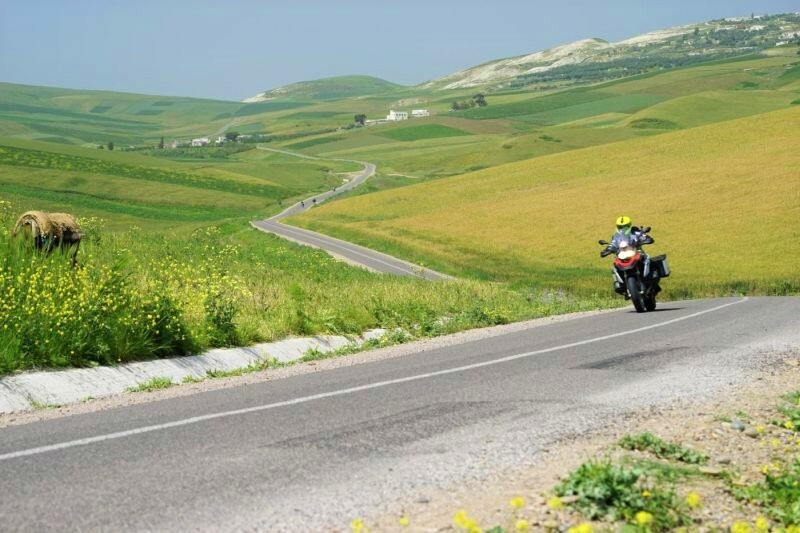 Kicking off this ultimate Moroccan motorcycle route, are the tantalising roads of the Rif Mountains in the north. 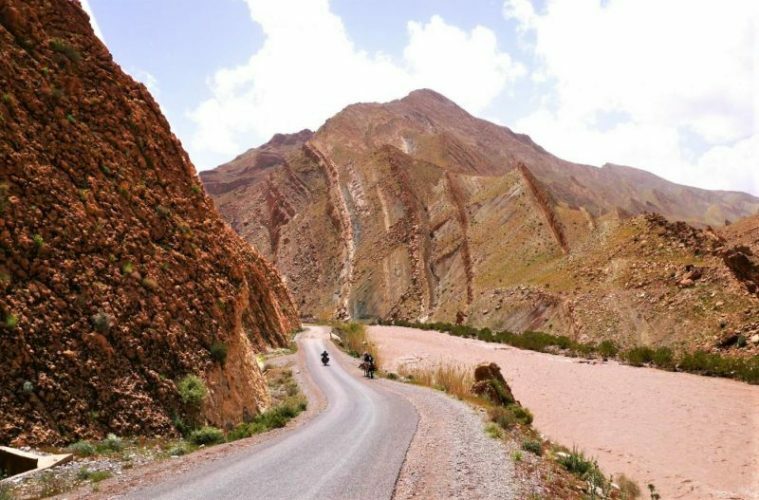 While many bikers head straight to the Atlas Mountains, they’re missing out on the beauty of this magnificent range. The roads here twist you through awesome mountainous terrain and continue to deliver nothing but spectacular scenery. Around every new corner, you’ll be met with scenes that rival that of the last, until you just start thinking to yourself ‘surely this can’t get any better! ?’ And well, it certainly can and certainly does. 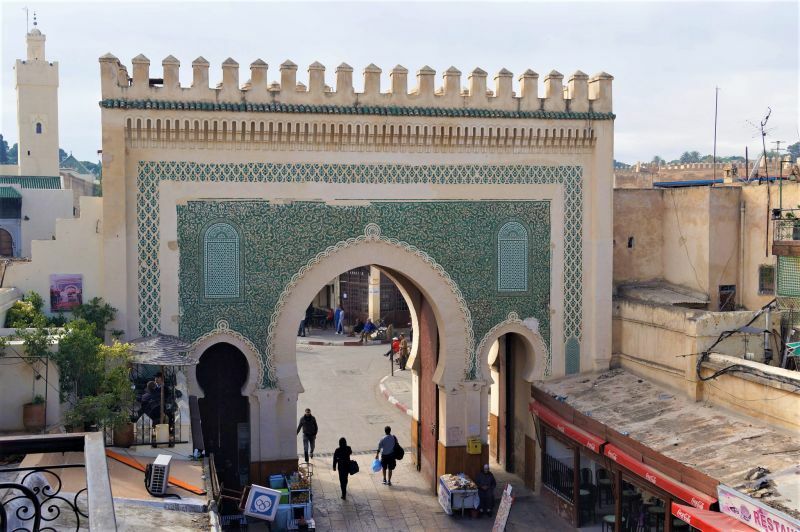 Following these roads will lead you to the imperial city of Fez, which is framed by great walls and impressive gates. The city was founded in the year 798, and is thought to be one of the largest medieval cities in the world that is still inhabited, it’s also classed as a UNESCO World Heritage Site. It’s known for not only its grand architecture, but blue pottery is considered as a symbol of the city. 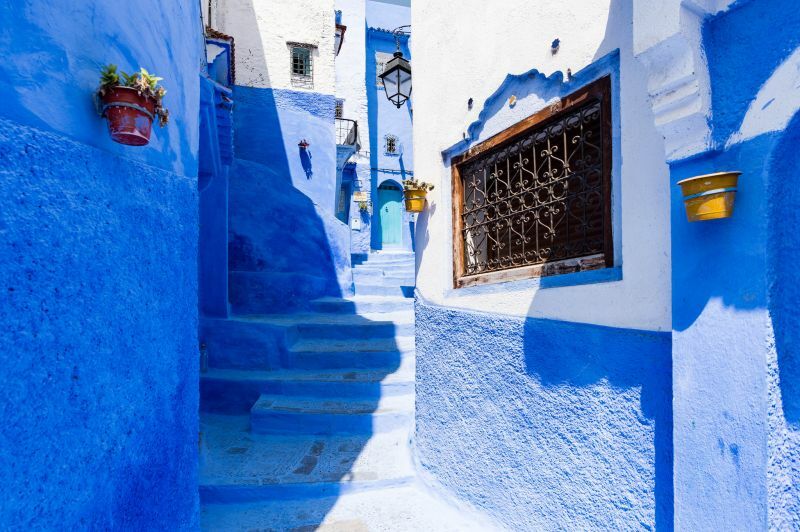 The city of Chefchaouen is located in the Rif mountains, and it is world-famous for all the buildings in the old part of the town which are painted with a blue-wash. The old town is a magical place to wander, with its steep cobbled lanes and maze-like formation. It’s a truly fascinating place to explore if you fancy a break from the saddle for an afternoon. 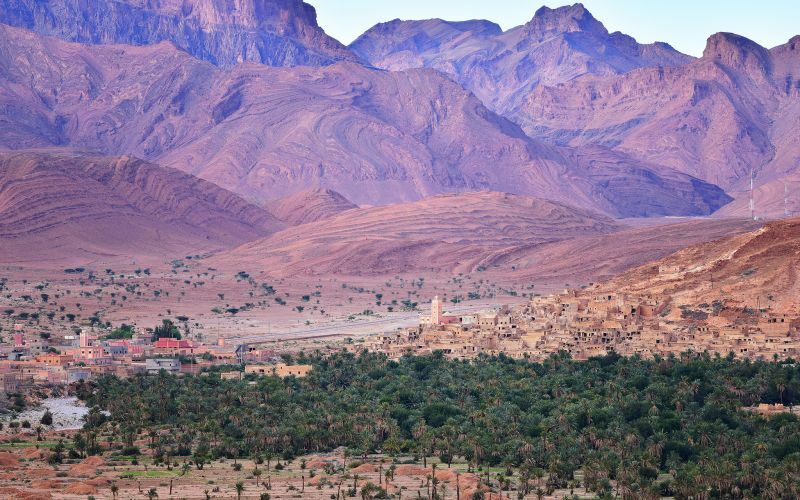 If you thought the Rif Mountains were something special, just wait until you arrive at the curvaceous roads of the Middle and High Atlas Mountains, and as you can probably guess by the name, the High Atlas Mountains is the highest mountain range in North Africa. The roads here bend and snake you through gloriously rugged mountain terrain, and as you ride higher, you’ll find yourself struggling to concentrate on the road due to the mind-blowing views of the landscape from over 2,000 metres above sea-level. Now, this is what adventure motorcycling is all about. 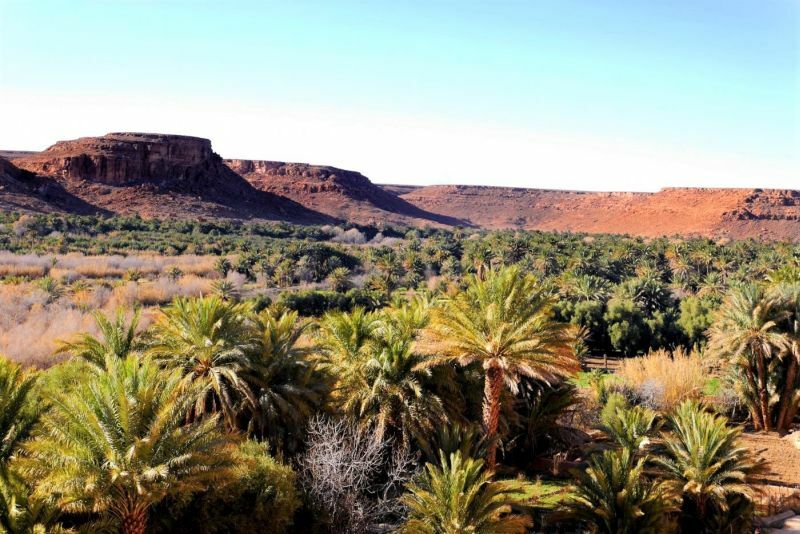 As the Gorge of the Ziz River leads you out of the Atlas Mountains, the next place you need to check out is Tafilalet, which is the southernmost of a group of several palm oasis in the Sahara Desert. This is the perfect pit-stop after a cracking day in the saddle, to sit back and relax to the sounds of nature all around you. Just add beer. With palm groves as far as the eye can see, the riding toward the next destination, Erg Chebbi, is tremendously picturesque. Little waves of sand whip across the asphalt, and the glorious sun reaches down and kisses everything it touches. 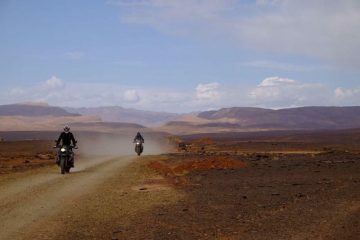 The vast open roads here are a great opportunity to really open up your throttle and immerse yourself in some quality riding. Now, as you leave the afternoon and head for camp as sunset approaches, is really when this landscape comes alive. The impressive dunes, reflect the ever changing light of the sun fading from rich yellows, to burnt oranges and deep reds, until darkness arrives to reveal billions of twinkly stars in the Milky Way. Bliss. Now, hold onto your helmets because here’s where things get really exciting. Dadés Gorge is, without a doubt, one of the highlights of this route, and if you love knee-tickling hairpins and thrilling curves then you’ll certainly agree with us here. Set within this wild and rugged gorge, this staggering mountain pass (the road is called R704) boasts impressive red rock formations and awe-inspiring view points – so make sure you don’t forget your camera! 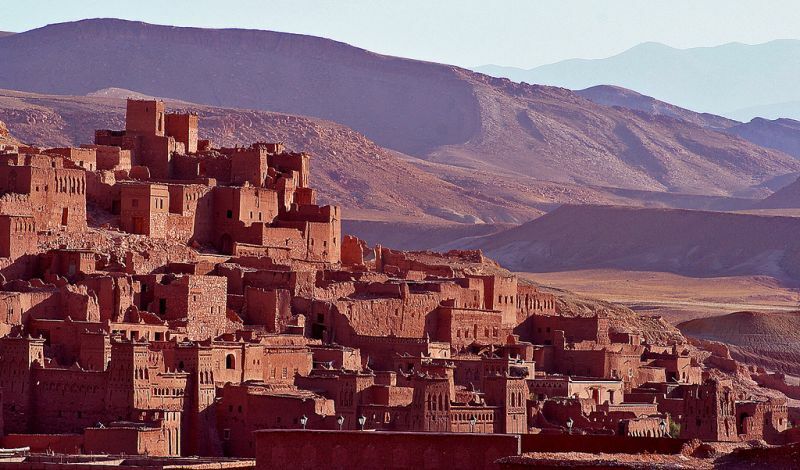 Here, you’ll have the opportunity to witness the fascinating Telouet Kasbah, which is an ancient palace located on the outskirts pf the village of Télouet. The palace sits an elevation of 1,800m high, and stands on an old caravan route to the Sahara Desert. You’ll also get the chance to visit Ait Ben Haddou (pictured above), which is an old fortified village nearby, this is a spectacular place to spend a few hours exploring and makes for some unforgettable photos to add to your collection. Your throttle hand will be left twitching with excitement after you take on these remarkable roads. Framed by your visor, the mountain views are incredibly dramatic, and you’ll be quick to notice that the landscape scenery around every new corner rivals that of the last. 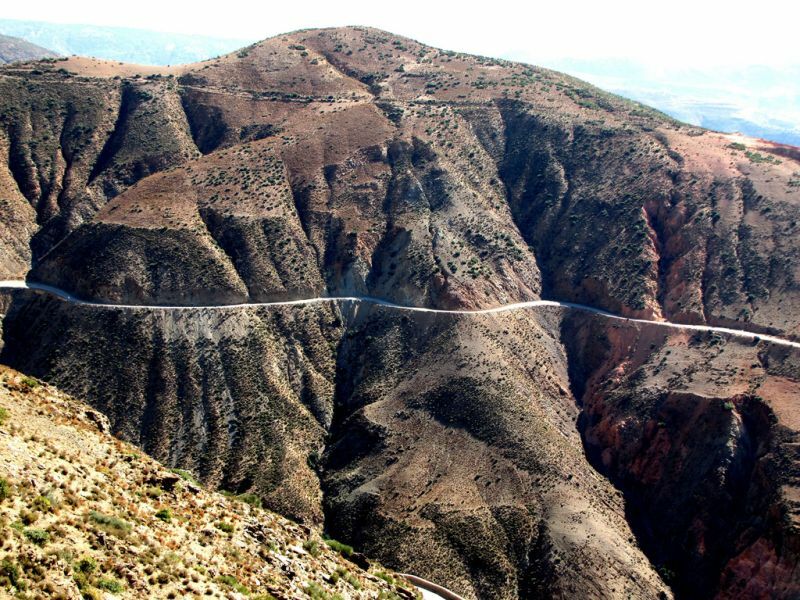 It’s as if these roads were made for us bikers, and you’ll have endless fun riding the twists, bends and corners of these fabulous Moroccan mountain passes. 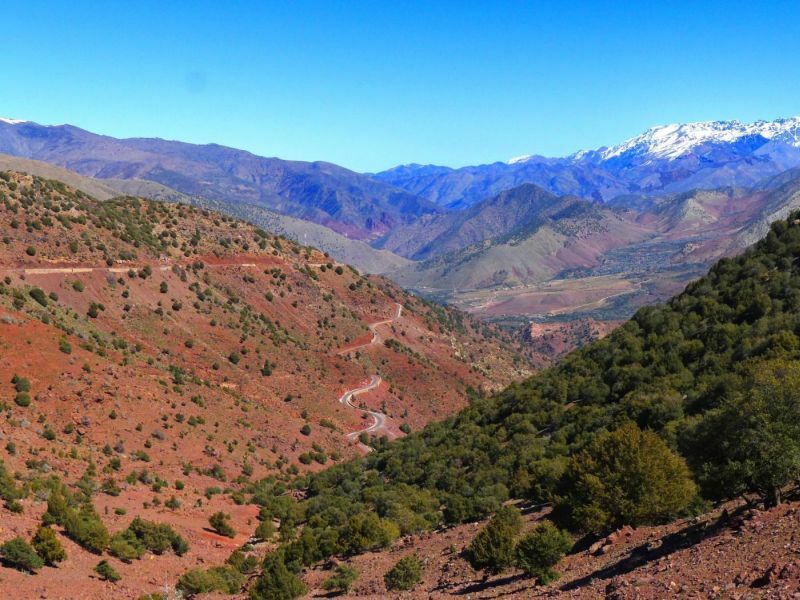 The Tizi-n-Test Pass is a mountain road that cuts through the heart of the impressive High Atlas Mountains, and connects Marrakech and Taroudannt. The pass sees you riding a whopping elevation of 2,093m high, so you can guarantee that the views are going to take your breath away. These sublime balcony roads with sheer drops make for one heck of a thrilling ride, and the jagged and craggy mountain is a fascinating sight to behold. 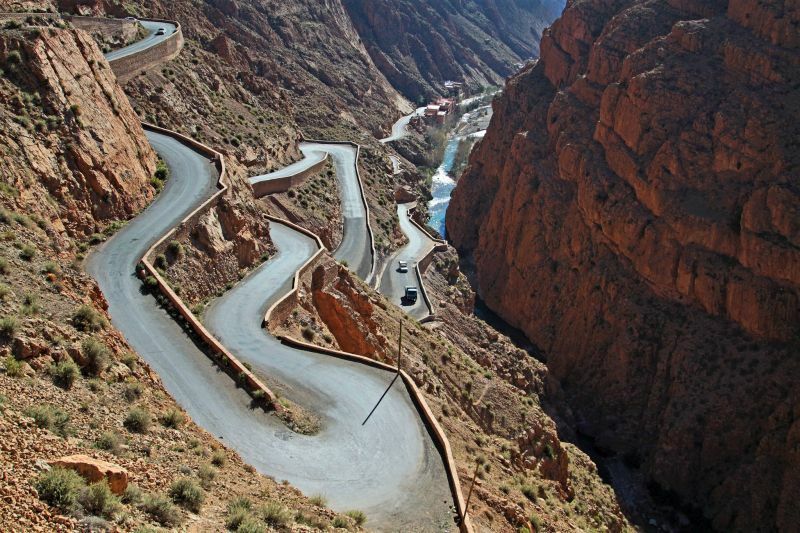 This thoroughly enjoyable mountain pass should not be left out of any Moroccan itinerary. Perhaps one of Morocco’s most famous cities, is Marrakesh, and no Moroccan road trip is complete without a visit here. There are a large number of architecturally significant buildings here so the city is the perfect place to have a rest day from the saddle. Sights that are definitely worth visiting include the Koutoubia mosque, which was built in 1162, the Ben-Jusuf school which dates back to the 14th century, the Menera gardens, which was declared a UNESCO World Heritage Site in 1985, and the world-famous medieval market in Jemaa el Fnaa square, which is a vibrant display of Moroccan culture and is the city’s most visited attraction. 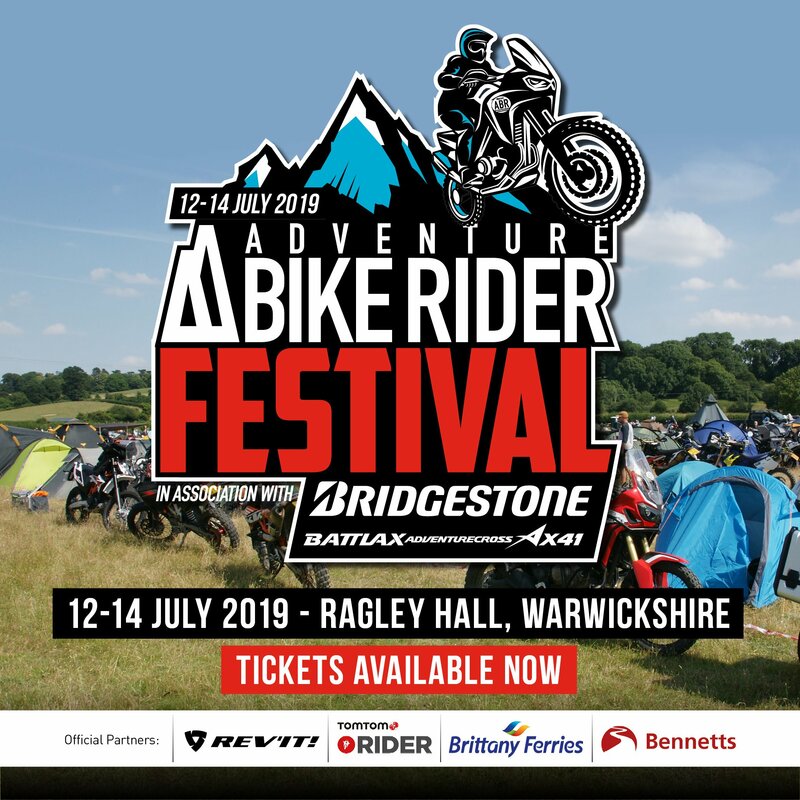 From Marrakesh you’ll ride north, and these roads will sweep you out of those dry, desert scenes and slowly fade to that of rural Morocco, where you will enjoy long winding roads which zig-zag you through rich greenery and fertile lands. 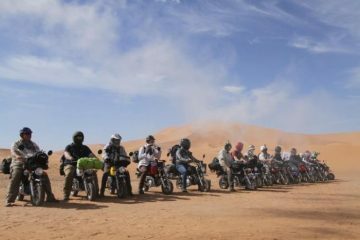 This is chance to really enjoy riding through a very different part of Morocco. 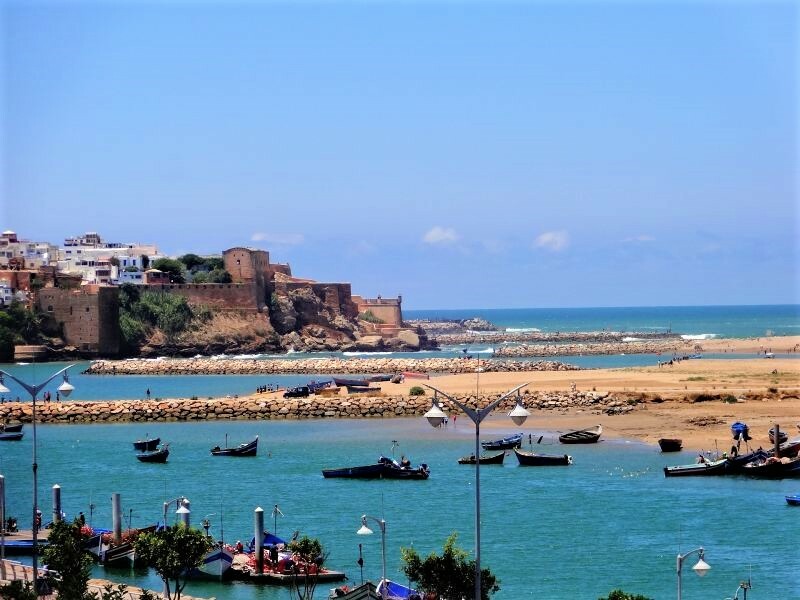 These gorgeous roads will finally lead you to the capital city of Rabat, which rests on the picturesque shores of the Atlantic Ocean, where vast views of the sparkling water are truly a sight for the eyes. It’s also the perfect place to rest your tired body by having an afternoon or sunset dip in the deliciously warm waters. 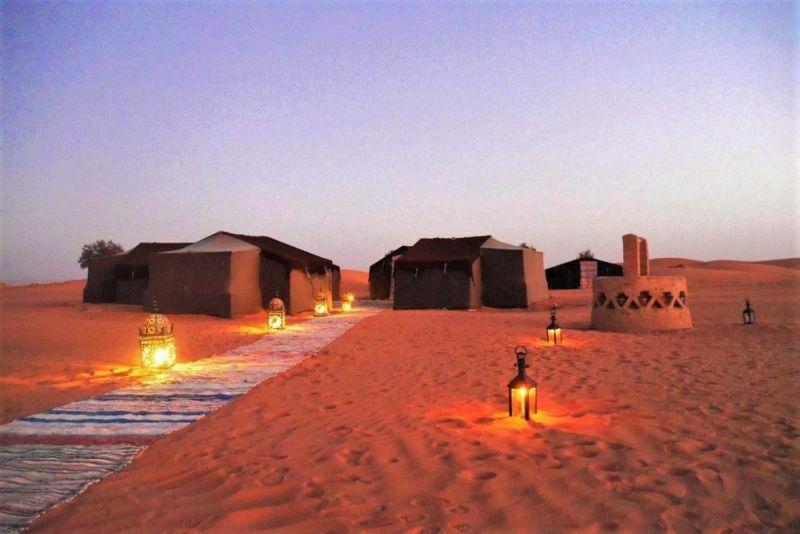 For those of you who are tempted by this incredible route through Morocco, you will be delighted to know that Hispania Tours offer this particular route. 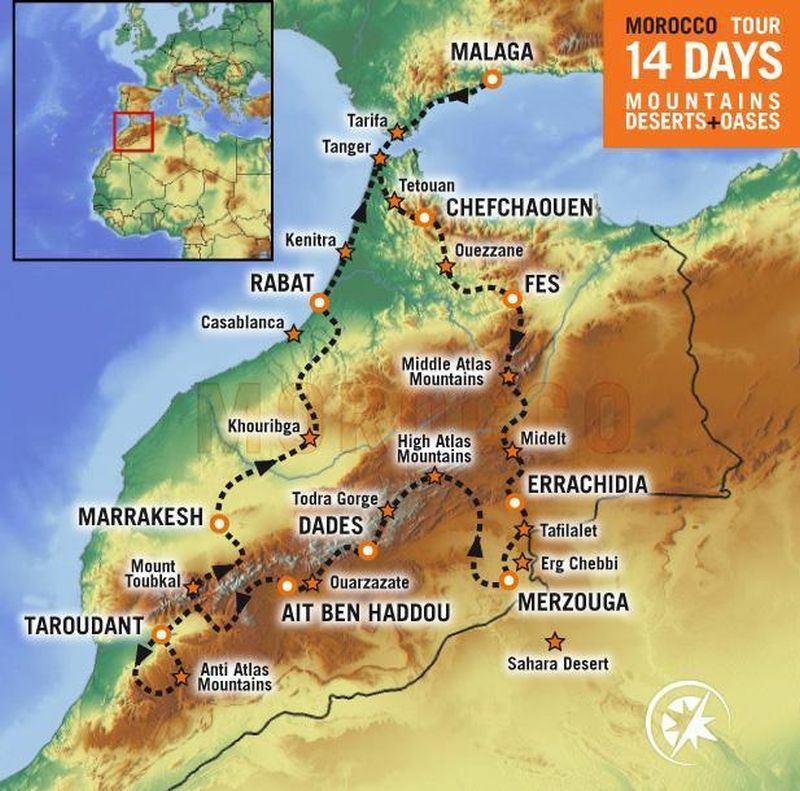 This 14-day route includes all of the roads and sights we have highlighted above and more, such as the fantastic Anti Atlas Mountains, Mount Toubkal and Casablanca. 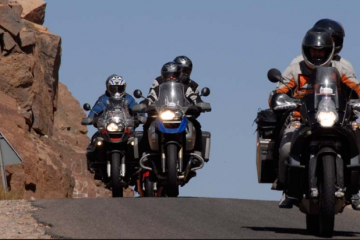 The company offers these wonderful tours with all amenities, which are perfect for you and your riding companion, as these tours are designed to be great fun two-up. You’ll stay at top-notch hotels with a relaxing atmosphere, enjoy sublime asphalt riding, and you’ll get to visit all the best sights along the way. 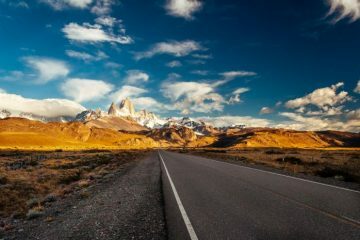 You can rely on Hispania Tours to offer a safe and smooth experience, with a riding group of no more than eight, a friendly, experienced and knowledgeable tours guide, and a van that will be with you every step of the way fort the transport of your luggage, a spare bike, – and any tired pillions! To read the full tour description, take a look at the tour gallery and testimonials, or to browse the company’s full range of tours, or to find out more about the company, then head over to the Hispania Tours website.